DCIS comprises approximately 25% of breast cancers diagnosed in the United States. All treatments result in excellent survival, but local recurrence rates vary dramatically. 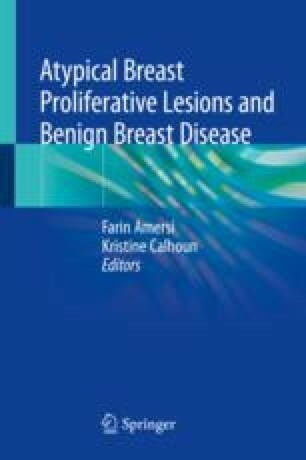 Mastectomy is associated with extremely low recurrence, and five randomized controlled trials have shown that radiation following breast conservation decreases the risk of local recurrence by half. Various combinations of clinicopathologic factors are also associated with lower risk of recurrence, but there is no subset of DCIS patients that does not experience a significant risk reduction with radiation. Each woman with DCIS deserves a careful discussion of the various treatment options, including accurate recurrence risk estimates and the relative importance to her of the risks and benefits of each option, to help her choose the optimal treatment for her. Sedloev T, Vasileva M, Kundurzhiev T, Hadjieva T. Validation of the Memorial Sloan-Kettering Cancer Center nomogram in the prediction of local recurrence risks after conserving surgery for Bulgarian women with ductal carcinoma in situ of the breast. Barcelona; 2016. Available from: https://www.researchgate.net/publication/312232507_Validation_of_the_Memorial_Sloan-Kettering_Cancer_Center_nomogram_in_the_prediction_of_local_recurrence_risks_after_conserving_surgery_for_Bulgarian_women_with_DCIS_of_the_breast. Accessed 7 Nov 2017.